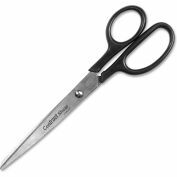 Lightweight scissors are durable enough for any cutting job. 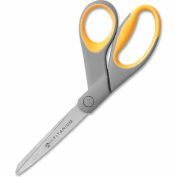 The titanium-bonded blades are three times harder than stainless steel, so blades stay sharper longer. 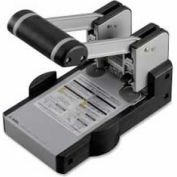 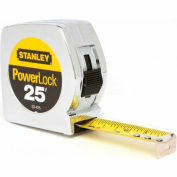 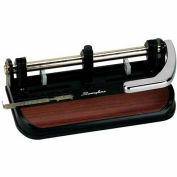 Durable blades are corrosion-resistant and resist the stickiness of tape and glue. 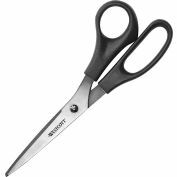 Bent, nylon handles feature an ergonomic design and contoured soft grip for your comfort. 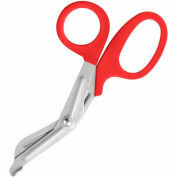 Heavy-duty scissors cut multiple layers of paper and fabric. 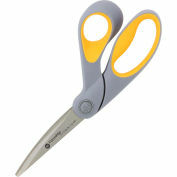 Scissors include a key to adjust the tension of the blade. 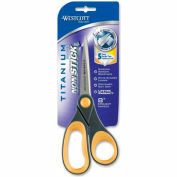 Cut Length: 3 1/4"; Scissor Length: 8"; Tip Type: Blunt. 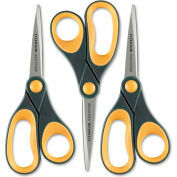 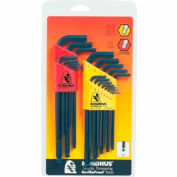 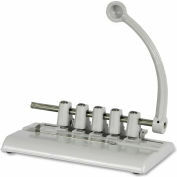 Your review: I found the scissors to be easy to handle and of excellent craftsmanship.